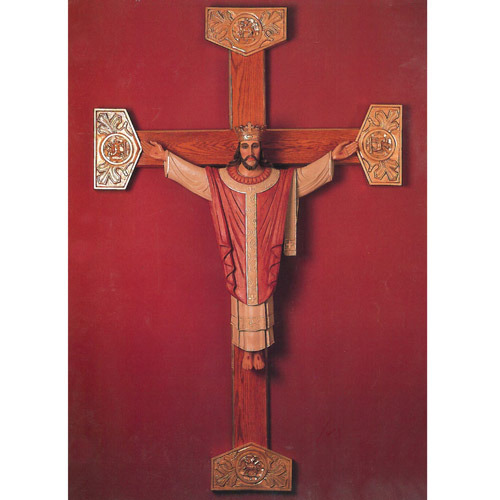 This Christ the King figure stands 36" tall, cross not included. Cast in Fiberglass, this statue is then hand-painted, so variances may apply to each individual piece. Also available in Stone-Look fiberglass suitable for OUTDOOR use. Call for details. Prices are in Canadian Funds and do not include Freight from the United States. Please call for accurate shipping quotes. Please allow 6 - 8 week for delivery.